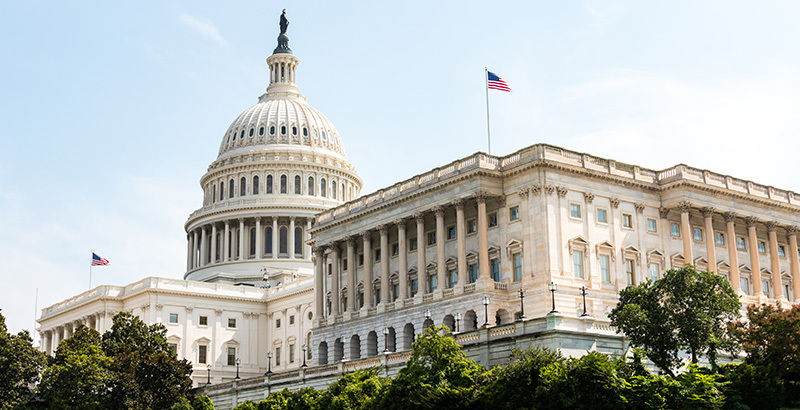 The hearing, the first the new Democratic majority in the House will hold on K-12 issues, comes on the heels of increasing focus on school infrastructure, as well as mounting labor unrest among teachers across the country. The Labor Department Friday said 2018 had the highest number of strikes and lockouts (20) since 2007, and the largest number of employees affected (485,000) since 1986. Teachers made up the majority of those stoppages, with more than 375,000 employees in “educational services” out of work at some point last year. The two largest strikes of the year were attributed to teachers in Arizona and Oklahoma. Educators in Denver and West Virginia could strike this week. Total spending on public schools in the U.S. was about $678 billion in the 2015-16 school year, according to federal statistics. The numbers vary by state, but overall, it was the third year in a row that spending increased after a dip following the great recession. Funding mostly came from state (47 percent) and local (45 percent) revenues with the remaining 8 percent from the federal government. 2020 WATCH: Minnesota Sen. Amy Klobuchar will make an announcement Sunday, widely believed to be about a presidential run. Klobuchar cited her mother’s career as a schoolteacher and her daughter’s experience with disability as a young child in a 2017 speech opposing Betsy DeVos’s nomination as education secretary. TUESDAY: FAMILY SEPARATION — The House Judiciary and Oversight and Government Reform committees hold simultaneous hearings on the Trump administration’s moves this summer that led to the separation of children and parents at the southern border. The Judiciary Committee will conduct general oversight and hear from leaders in Customs and Border Protection, the Justice Department, and the Health and Human Services Department that oversaw care of the separated children. The Oversight Committee will look at agencies’ failure to produce documents about the policy. TUESDAY: MILITARY ACADEMIES & SEXUAL ASSAULT — Two subcommittees hear testimony on the nation’s military academies. In the morning, an Appropriations subcommittee on Defense hears a general overview from the leaders of the Military Academy, Naval Academy, and Air Force Academy. In the afternoon, an Armed Services subcommittee hears testimony on the academies’ plans to address a new report that found that the number of sexual assaults at the schools jumped 50 percent in two years. Military academies are exempt from Title IX, the federal law governing how schools handle allegations of sexual misconduct. TUESDAY: STEM EDUCATION — The National Academies of Science, Engineering, and Medicine hold a day-long conference to discuss two recent reports on STEM education, one on English learners in STEM, and the other on science and engineering for grades 6-12. WEDNESDAY: THE BENEFITS OF READING ALOUD — Author Meghan Cox Gurdon discusses “the latest neuroscience and behavioral research linking reading aloud to cognitive and social-emotional benefits for young children” at the American Enterprise Institute.